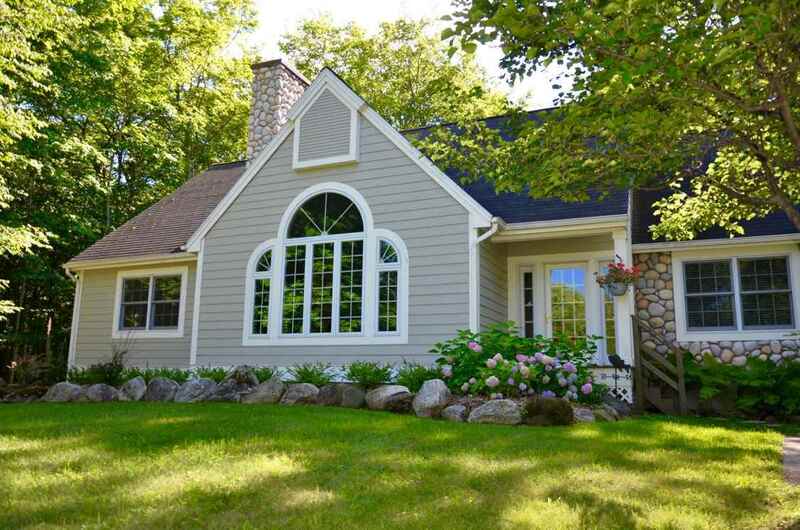 Stylish, attractive 3 bed 2 Â½ bath home with a/c, located on a spacious, tranquil setting surrounded by the Charlevoix Country Club.â This home features 1st floor master bedroom, updated kitchen, main floor office/TV room and comfortable living room w/expansive windows to let in plenty of natural light. Recently updated waterproofed foundation/basement that includes a transferrable lifetime warranty. New in 2018, front porch, natural gas hot water heater with recirculating hot water and sealed asphalt driveway. New roof scheduled to be installed in 2019..